A spokesman for the regime in power in Ethiopia sought to minimize the importance of the Prince’s statement by suggesting that the Saudi Ambassador in Addis Ababa had disavowed the Prince’s statement as official policy or a position endorsed by the Saudi government. The alleged disavowal of the statement of a member of the Saudi royal family and top defense official seems curiously disingenuous after the fact. But that is understandable since “an ambassador is an honest man sent to lie abroad for the good of his country.” The regime spokesman also insinuated in fuzzy diplomatese that such inflammatory statements could result in war between Arab countries and African countries in the Nile basin. What will Egypt do if Meles’ “Grand Renaissance Dam” is in fact built? “Simple.” They will use dam busters to smash and trash it. 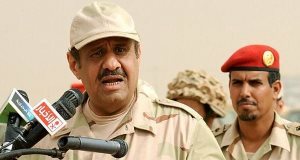 The same source further indicated that Egypt is “discussing military cooperation with Sudan” and has “a strategic pact with the Sudanese since in any crisis over the Nile, Sudan gets hit first then us.” That military cooperation includes stationing Egyptian “commandos in the Sudan for ‘worst case’ scenario on the Nile issue. Sudanese president Omar al-Bashir has agreed to allow the Egyptians to build a small airbase in Kusti to accommodate Egyptian commandos who might be sent to Ethiopia to destroy water facilities on the Blue Nile…The military option is not one that the Egyptians favor. 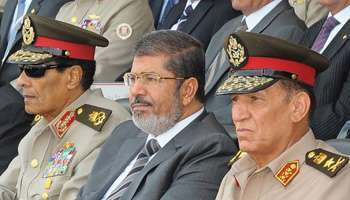 It will be their option if everything else fails.” So far Egypt has successfully lobbied the multilateral development and other investment banks and donors to deny or cut funding for the dam and to apply political and diplomatic pressure on Ethiopia and the other upstream Nile countries. The World Bank has publicly stated it will not to fund any new projects on the Nile without Egypt’s approval. The Grand Renaissance Dam or the grand dam (de)illusion? All African dictators like to build big projects because it is part of the kleptocratic African “Big Man” syndrome. By undertaking “white elephant” projects (wasteful vanity projects), African dictators seek to attain greatness and amass great fortunes in life and immortality in death. Kwame Nkrumah built the Akosombo Dam on the Volta River, at the time dubbed the “largest single investment in the economic development plans of Ghana”. Mobutu sought to outdo Nkrumah by building the largest dam in Africa on the Inga Dams in western Democratic Republic of the Congo (Zaire) on the largest waterfalls in the world (Inga Falls). In the Ivory Coast, Félix Houphouët-Boigny built the largest church in the world, The Basilica of Our Lady of Peace of Yamoussoukro, at a cost of USD$300 million. It stands empty today. Self-appointed Emperor Jean-Bedel Bokassa of the Central African Republic built a 500-room Hotel Intercontinental at a cost of hundreds of millions of dollars while millions of his people starved. Moamar Gadhafi launched the Great Man-Made River in Libya, dubbed the world’s largest irrigation project, and proclaimed it the “Eighth Wonder of the World.” Gamal Abdel Nasser built the Aswan High Dam which could be affected significantly if upstream Nile countries build new dams. Ugandan dictator Yuweri Museveni built the Bujagali dam which was completed in 2012. The backflow from that dam has submerged a huge area of cultivable and settled land forcing migration and resettlement of large numbers of people.